Hung-Jen Catholic Girls' High School was founded in 1966 by Catholic Church in Chia-Yi City. Our school was named as Chia-Yi County Catholic Hung-Jen Girls' MiddleSchool by the first principle Priest Chang Huai-yan. Later, the name has been changed twotimes, and now our school's name is Chia-Yi Catholic Hung-Jen Girls' High School After Priest Chang, our school was directed by Priest Lyu Wen-jian, Wu Zhong-hu, Di Yong-li, and now by Principle Jheng Fong-ming. Surrounded by fields, the campus is embraced by tranquility, and thus it is a good learning environment. Today, our school provides not only high-quality teaching but also fine facilities. We have well-equipped classrooms, including music classrooms, computer classrooms, English laboratories and science laboratories. Besides, there are a clean swimming pool and a modern dormitory. Our school is a complete high school, which contains senior high and junior high. There are about 1000 students in school, and there is a staff of over 90. 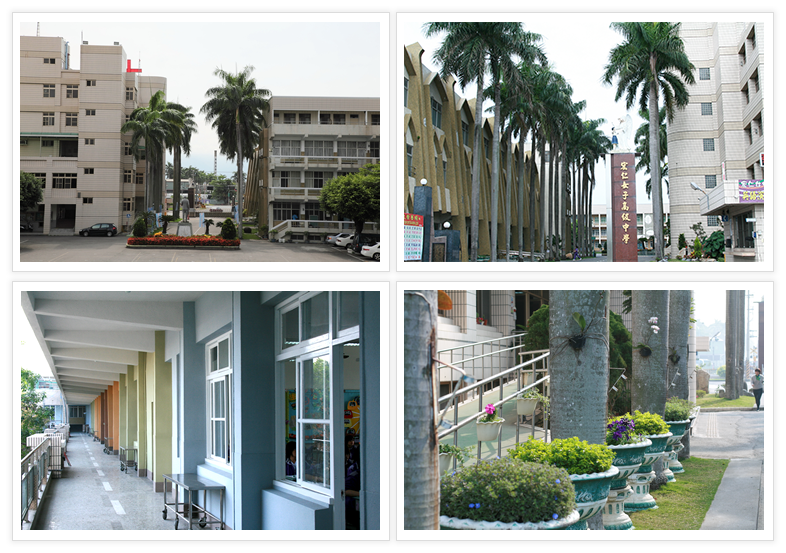 The school was evaluated as a good-quality senior high school by the Ministry of Education in 2008, which can be subsidized about NT$12,000,000 for three years in a row. The money istoally used to improve the teaching facilities. All in all, our school educational approach is unique. We not only emphasize the intellect but also take the whole person education into account. Come to Hung-Jen, and you will meet a better you in the near future. Hung-Jen Catholic Girls' High School welcomes you.